FORT LAUDERDALE, Fla., May 17, 2018 /PRNewswire/ -- Winner of Best Film Award, "KILLER ISLAND" is a suspenseful, tropical adventure to be enjoyed from the comforts of your home. The film is available May 25, 2018 on Amazon and iTunes, followed by Vudu, and Google Play, June 6, 2018. Filmed on the beautiful Captiva Island off the Florida coast, "Killer Island" is visually stunning in cinematography, beautiful well-loved actors including prominent soap opera star, Jordi Vilasuso (Days of Our Lives, All My Children, Guiding Light), and Lifetime | LMN favorite, Barbie Castro. "KILLER ISLAND" won Best Feature Film Award at the Fort Myers Beach Film Festival®. "KILLER ISLAND," from Concord Films, is the story of a murderous, vacation mystery. The story centers on Ashley (Barbie Castro) while on vacation with her husband Mike (Brian Gross) who becomes a target when she suspects Johnny (Miguel Fasa), one of the islands' locals may have committed multiple murders. The vacation is delightful until the body of a missing woman is discovered offshore. Ashley goes on a quest for the truth, uncovering a web of deceit that involves more of the locals than imagined. They will stop at nothing to silence Ashley, and keep the island's dark secrets hidden. The film stars Barbie Castro (Boyfriend Killer, Assumed Killer, Girlfriend Killer), Jordi Vilasuso (Days of Our Lives, All My Children, Guiding Light), Jackie Moore (Pernicious), Brian Gross (Star Trek New Voyages: Phase II), Migual Fasa (Boyfriend Killer), Jacy King (Glee), and Brian Patrick Clarke (The Bold & The Beautiful and General Hospital). 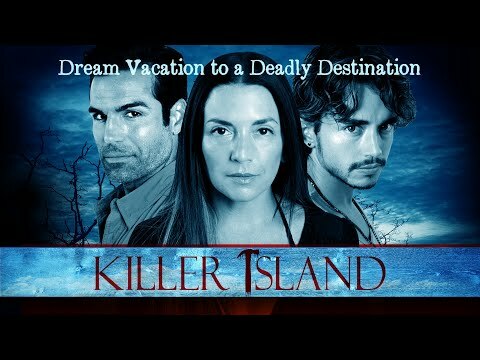 "KILLER ISLAND" is produced by Sebastian Battro, Tom Berry, Louisa Cadywould, Barbie Castro, and Eric R. Castro. The film is written by Christine Conradt. "KILLER ISLAND" is directed by Alyn Darnay. Concord Films LLC, a global producer and distributor of filmed entertainment, is a leading content company with prominent and respected film, television and digital entertainment brands. Many Concord Films productions have been aired on Lifetime | LMN and additional films available on VOD include "ASSUMED KILLER," "PATIENT KILLER," and "BOYFRIEND KILLER." Now added is "KILLER ISLAND."